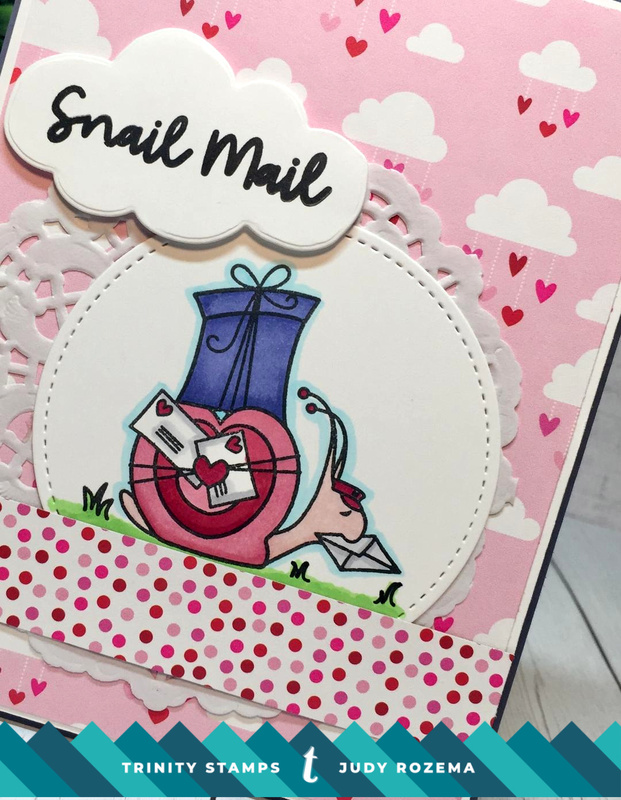 I am sure that you have seen the adorable Mr. Snailman that was released February 4! 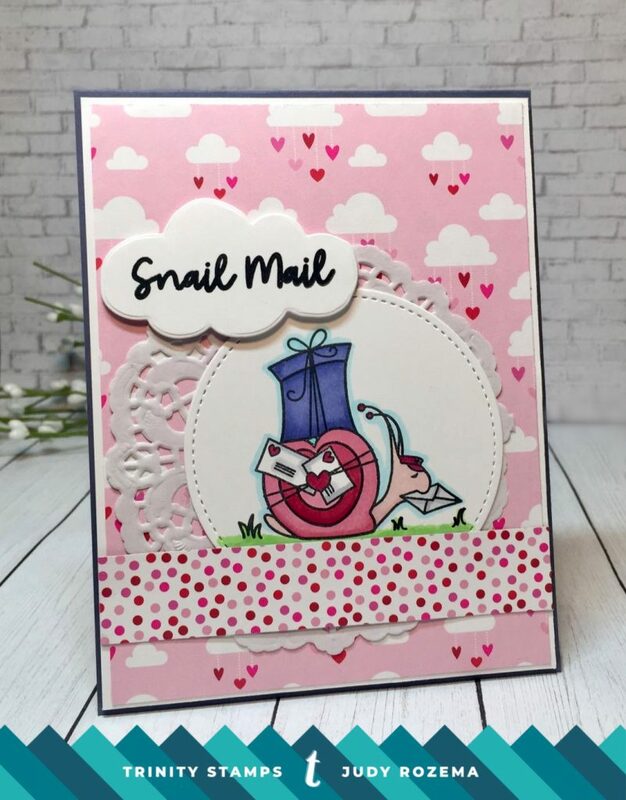 It is such a cute set and today I am sharing my Miss Snail! 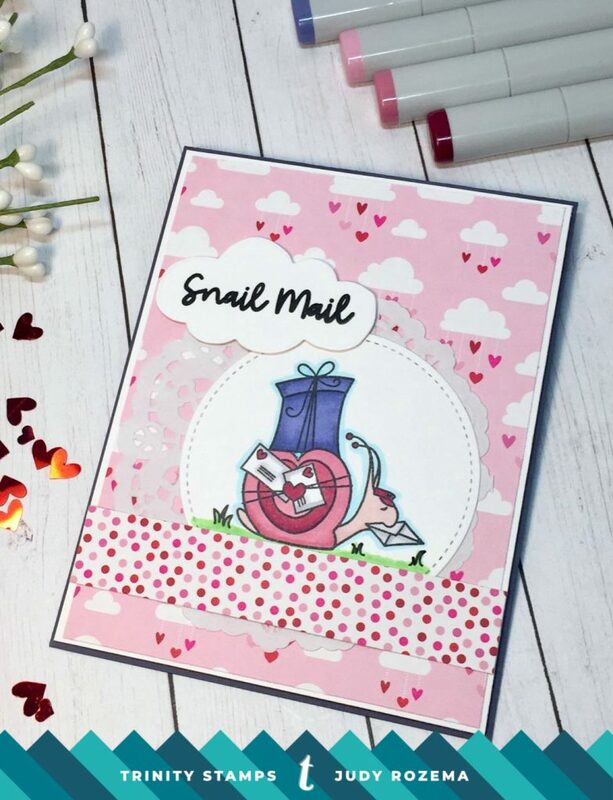 I love how the shell of the snail is heart-shaped, and I wanted to highlight that in my favorite colors – shades of pink! I stamped with VersaClair Nocturne ink, and when dry, colored my image and little scene with Copic markers. The patterned paper (Doodlebug) from my stash, along with a sweet paper doily made the perfect background. I cut a cloud die and then stamped my sentiment inside. The sweetest little greeting! You can find Mr. Snailman HERE. Thanks for stopping by today! You can see more of my projects at Joy in a JAR. So cute, love the setting!